2018 WPA Annual Swapmeet: The Return! You are here: Home / News from Woodley Park / 2018 WPA Annual Swapmeet: The Return! 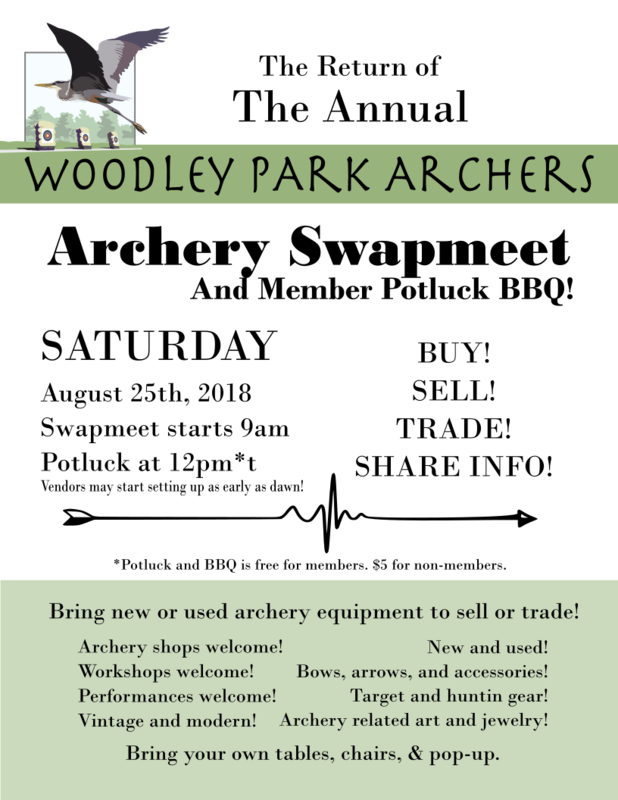 On Saturday, August 25th, 2018, Woodley Park Archers is hosting the return of its Annual Archery Swapmeet and Member Potluck BBQ! The Potluck and BBQ is available at no charge for members and $5 for non members. The swapmeet is open to everyone at no charge! Guests and vendors may all come and mingle, shop, sell, and trade! Bring new or used archery equipment to sell or trade! Archery related art and jewelry! If you are vending, make sure to bring your own table, chair, and shade. There is no fee to be a vendor, and spaces are first come first serve!